HY2 is the toughest, most advanced indexible knife chipping system available. Key Knife’s next generation drum style chipping system, the HY2 (High Yield 2), is the solution for progressive sawmills that are looking to improve surface finish, chip quality, and operating efficiencies. It is designed and built to perform in the most challenging operating environments around the world. •Consistent tight tolerance cut minimizes scalloping, fiber pull, and knot tear out. 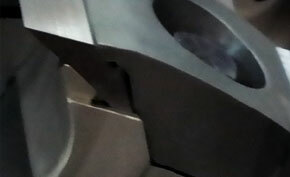 The HY2’s ability to make a precise and repeatable cut is especially beneficial during the spline making process. •The HY2’s innovative clamping design ensures the knife edge stays firmly in place for a clean and precise cut. 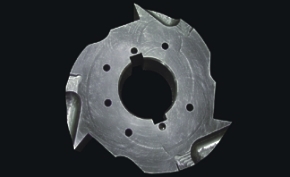 •High knife count-up to 6 knives in a 16” cut diameter. •HY2 “Spiral” heads are running flawlessly in lines operating at over 900 FPM. 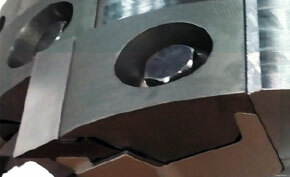 •Long lasting Ridge XL knife can reduce frequency of knife changes, and increase valuable production time. •A special ridge located on the bottom of the Ridge Knife XL starts the formation of a uniform chip and provides it a smooth transition to the counterknife. •HY2’s large and smooth gullet minimizes the break up of quality chips into pins and fines. •Quick and easy knife changes. •Long lasting Ridge XL knife can be resharpened for additional savings. The larger and smoother expanded gullet enhances chip flow and improves chip quality. 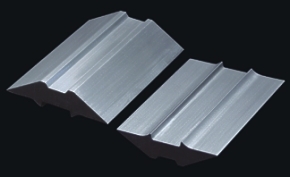 Provides constant pressure across the length of the knife, eliminating knife flutter and packing. Securely holds both knife ends in place to eliminate knife twist for precise edge placement. 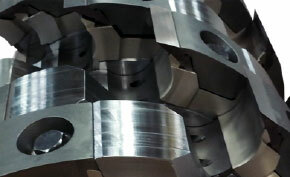 Manufactured from chipper steel to prevent gullet wear, prolong segment life, and maintain chip quality. 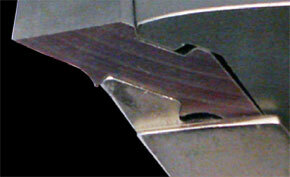 Reduces the force on the chip as it exits the cut, minimizing the break up of quality chips. Significantly improves knife stability, for a precise and repeatable cutting path. 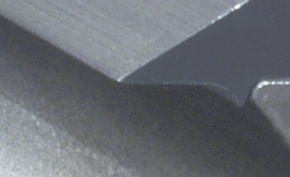 Provides a smooth chip transition from knife tip to counterknife, greatly improving chip quality. The clamp provides full contact clamping over the entire length of the knife, eliminating packing and knife flutter. 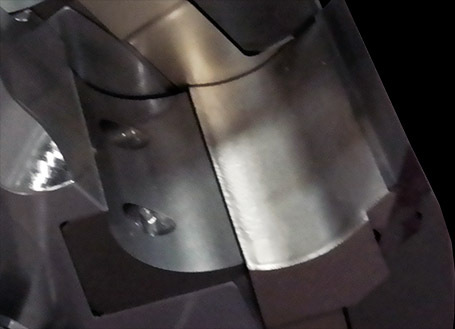 A high, medium, and low profile clamp is available for various relief and log control needs. 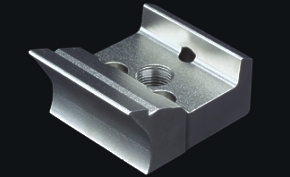 CNC machined from A514 structural steel for strength and durability. 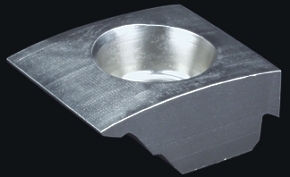 The smoother and larger expanded gullets improve chip flow. Knife stops are machined into each segment to lock in both ends of the Ridge Knife XL to eliminate knife twist for precise edge placement.